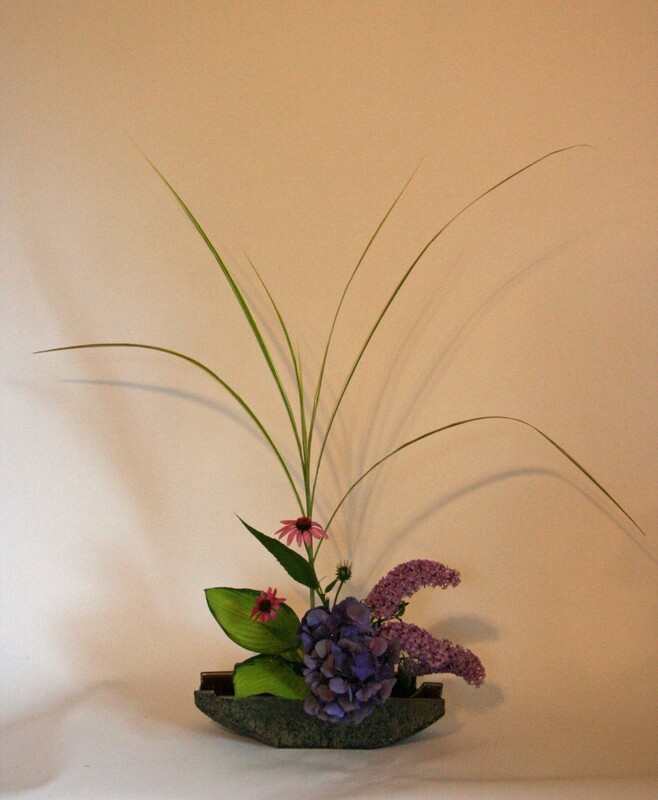 This moribana was made by quickly cutting some materials between rain storms today. No complaints about the rain because it is watering the garden. I had hoped to do some more work, but the rain cut short my outdoor time. As a bonus today I am posting below an earler version fo the arrangement from July 12. Often I might make many versions or one with lots of adjustments to get it right, not that they’re not god but I come up with one that I feel is better. I just keep working with material until ai get it to stay in place. It’s mostly persistence! I really like how you manipulated the palm leaves. 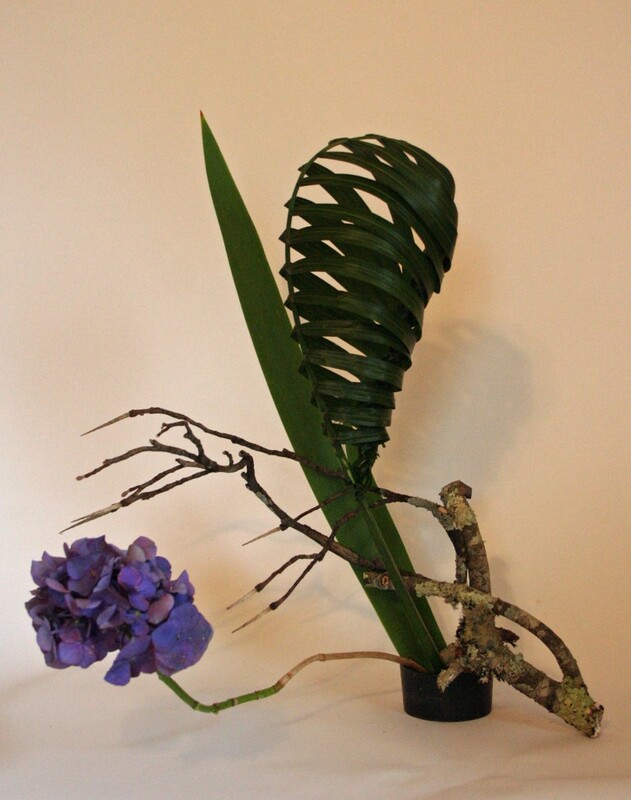 Do you have any youtube clips or steps on how to manipulate the palm leave? I’m looking for some instructions on how it’s done. There are some great videos on You Tube on leaf manipulation. Start with this one: https://m.youtube.com/#/watch?v=3ZY0hMiQG9s&desktop_uri=%2Fwatch%3Fv%3D3ZY0hMiQG9s . Try search terms on You Tube such as leaf manipulation, braiding grasses, weaving palm leaves and you should come up with some useful videos!